A complete guide to the 4 best rooftop bars in Ibiza in 2019. 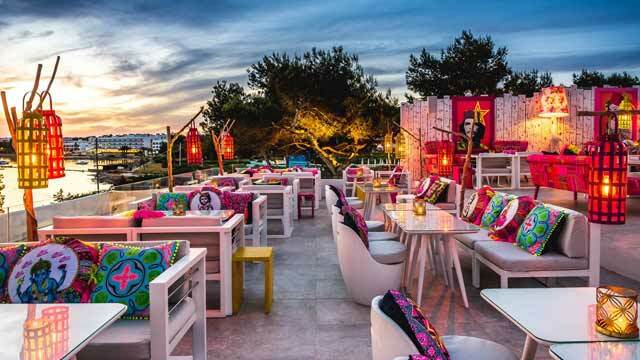 Find all the best Ibiza rooftop bars with all info you need about each terrace. Opening hours, dress code, pictures, maps and much more. One of the best party places in the world. Ibiza has it all. 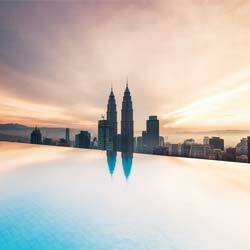 Beaches, beach clubs, restaurants, hotels and of course some super nice rooftop bars. Most of them with beautiful ocean view and a luxurious party vibe. So, which is the best rooftop bar in Ibiza? 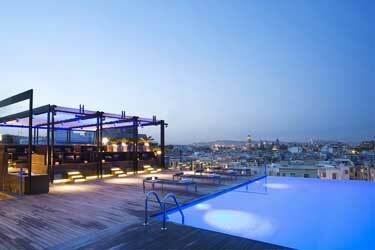 Just scroll down and find the Ibiza rooftop bar best suited for you. Or use the Ibiza rooftop map in the bottom right corner. 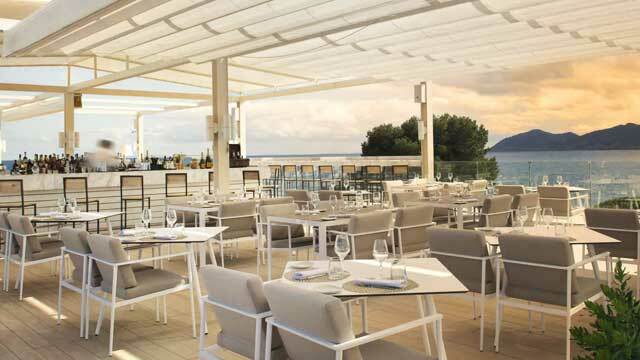 The luxurious ME Ibiza comes with a stylish and more harmonious Ibiza rooftop bar called Radio ME Ibiza Rooftop Bar. Located beachside near Santa Eulalia on the east coast of Ibiza, the 5th floor terrace offers an absolutely magical 360-degree views of the sea and the island. Equipped with a luxurious rooftop pool and comfortable Bali beds, the rooftop is an oasis for hotel guests during the day. In the evening everyone is welcome to enjoy tapas and fresh seafood along with exquisite cocktails. At Sa Punta, located about five minutes from Ibiza town, you find not less than three different restaurants. The flagship, Sa Punta, serving Mediterranean food, Ginger, with a Asian fusion inspired menu and Patchwork, serving Lebanese food. All three have beautiful views of the ocean, but it's Patchwork that is the rooftop restaurant. Open for relaxing and sunny lunch through late night dinner with DJ vibes, Sa Punta comes with a great ambience and a sunset to die for. 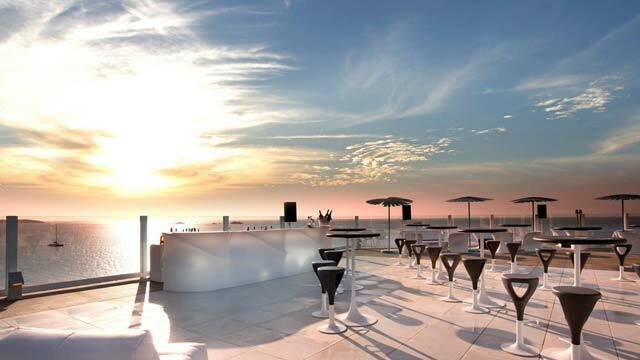 A very spacious rooftop bar located on top of the luxurious Hard Rock Hotel in Playa d'en Bossa. Stylish in interior, here you almost get the feeling of being aboard a large cruise ship. 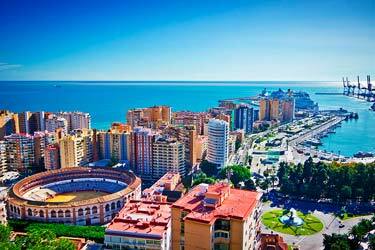 Highlighted by the outstanding 360-degree view of the beach, city and sea. 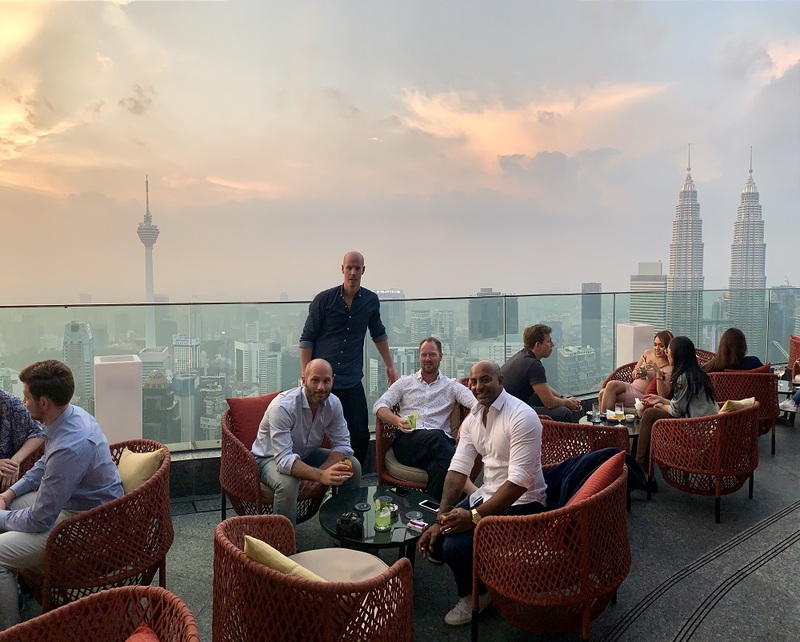 The rooftop bar serves a wide selection of crafted cocktails, champagne and fine spirits. 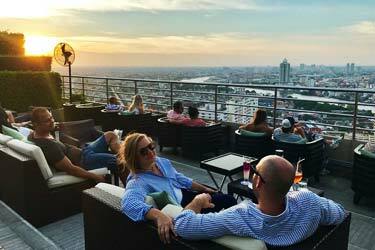 Come early to enjoy a magical sunset and to have the rooftop at bit more to yourself, and the stick around as the vibe and crowd grows. 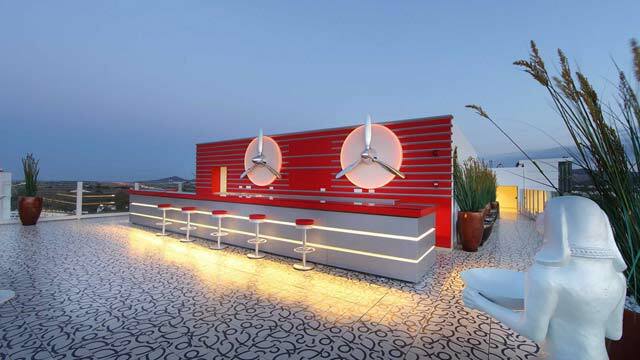 On top of the adult only and party friendly Ushuaia Ibiza Beach Hotel you find this glamorous and exclusive rooftop bar. When the slightly cooler evening temperatures arrives this magical rooftop opens up and here you get one of Ibiza's best sunsets and panoramic views of the sea and the island of Formentera. A bit of a santuary from the large and vibrant DJ shows at Ushuaia below, and actually all across Playa D’en Bossa, this is a cool spot for fancy cocktails in a stylish and casual chic setting. Discover the biggest collection of Ibiza activities, guided tours and skip-the-line tickets. Anything you want you'll find right here. Ibiza have a classic Mediterranean climate with warm and sunny summers and slightly cooler winters. This results in that the rooftop bars in Ibiza can stay open all year round. 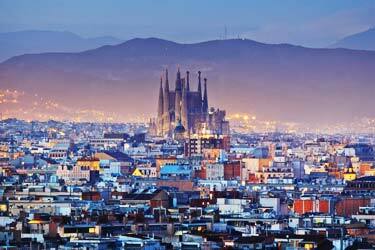 Which are the best rooftops in Ibiza? 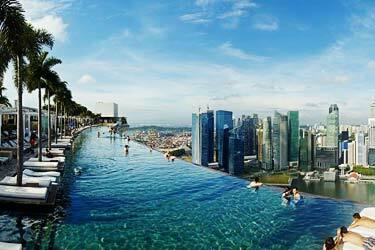 Here you’ll find roof terraces that suits everyone. Those with little calmer atmosphere and cozy interior, and those with luxurious furnishings and wild party atmosphere. The views from the terraces here are magnificent with ocean views and absolutely stunning sunsets. And many of the terraces here are quite undiscovered so far. Ibiza is an island in the Mediterranean Sea belonging to the country Spain. 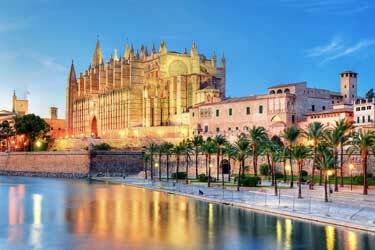 The island belongs to the Balearic Islands and Ibiza is the third largest in the region. If one is to compare a bit in size, Ibiza is 10 times larger than all of Manhattan. Most people know about Ibiza mostly because this is a party mecca where tourists gather to party and listen to House and Techno. Britons and Scandinavians are two of the largest ethnic groups in terms of tourists who comes here every year. 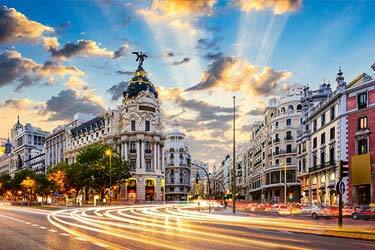 The world's most famous DJs and artists perform here every year, which also attracts people from all over the globe.